Former New Zealand “All Blacks” team member Charles Reichelmann works with WIS students. Dallen Stanford of PlayRugbyUSA poses with students from WIS.
Former New Zealand “All Blacks” team member Frank Bunce works with WIS students. Rugby delegation poses with After School All Stars program managers. NZ Deputy Consul General Annette Franklin and Former NZ All Blacks Rugby Team Player Walter Little. I think the kids at WIS particularly enjoyed working with Mr. Little — because he was such a huge jolly guy! Definitely the largest of the 3 rugby folk. PlayRugby USAsent a delegation to Oahu from February 17-18 to promote the sport of rugby in afterschool programs as a way to develop youth by strengthening character, conditioning, community, and academic commitment by integrating the core values of the sport into a distinct and inclusive team sports experience. Prior to arriving in Hawaii the delegation also visited California and Nevada. The visit was coordinated by Sen. Donovan Dela Cruz, who had a close friendship with New Zealand Consul General Rob Kaiwai. 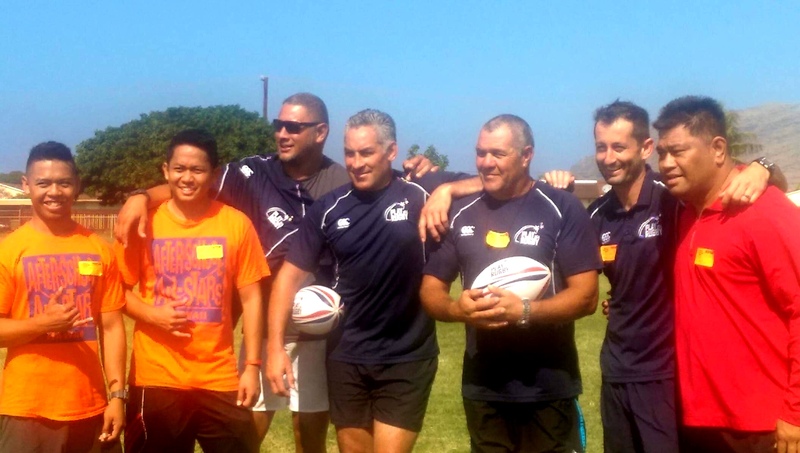 PlayRugby USA Los Angeles Program Manager Dallen Stanford also helped coordinate the delegation’s visit to Hawaii. Along with the New Zealand Consul General’s office and representatives from PlayRugbyUSA, the delegation included 3 former players of New Zealand’s “All Blacks” national rugby team – Walter Little, Frank Bunce and Charles Reichelmann. Sen. Dela Cruz searched for a Leeward Coast school to hold an all-day session with the delegation to demonstrate how rugby could be incorporated into afterschool programs. 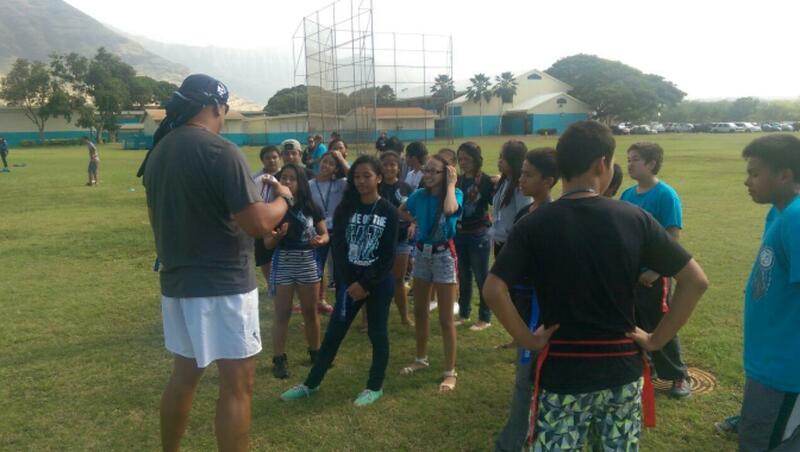 On extremely short notice, Waianae Intermediate School was able to accommodate the delegation with use of their field. 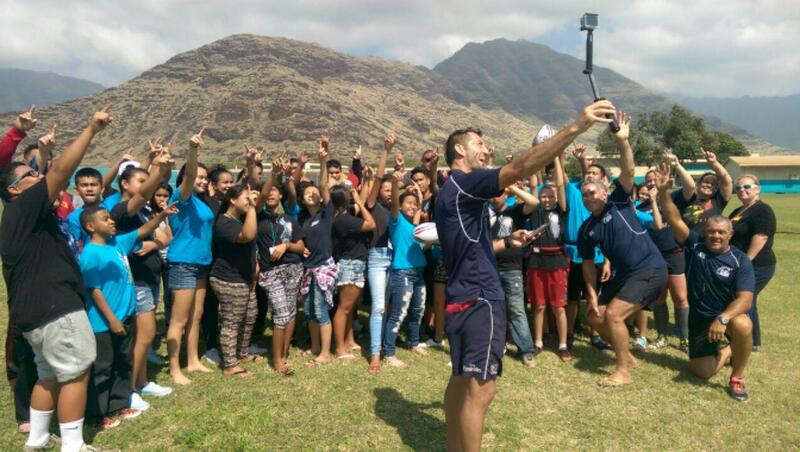 The PlayRugby USA representatives and rugby players spent the day working with teachers, administrators, and coaches from WIS and different OIA schools, as well as rugby coaches in other communities – sharing information about their program. They also worked with WIS students in the After School All Stars program teaching them about rugby and engaging in a few games of flag (non-tackle) rugby. All involved had a great time and positive experience. Sen. Shimabukuro and OHA sponsored a bento lunch for the delegation and the visitors from other OIA schools — the first bento lunch for the New Zealand rugby players! Sen. Dela Cruz and Sen. Shimabukuro enjoyed fellowship with the delegation that evening at the New Zealand consul general’s residence. 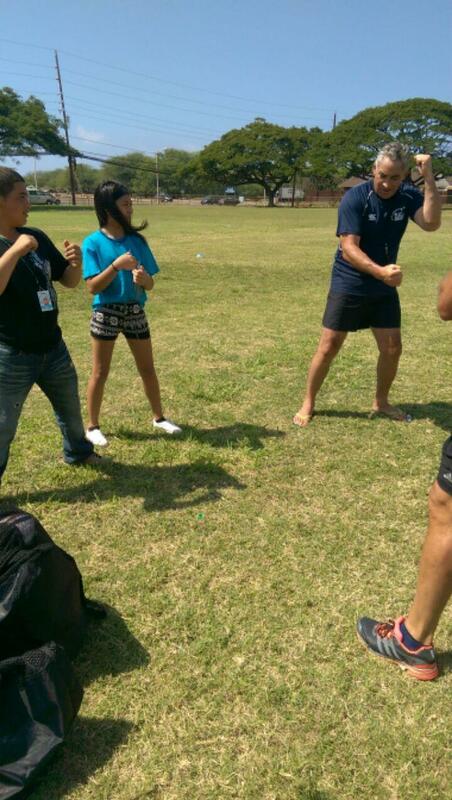 Also in attendance were MA`O Farms’ Gary & Kukui Maunakea-Forth – Gary is a former rugby player from New Zealand. 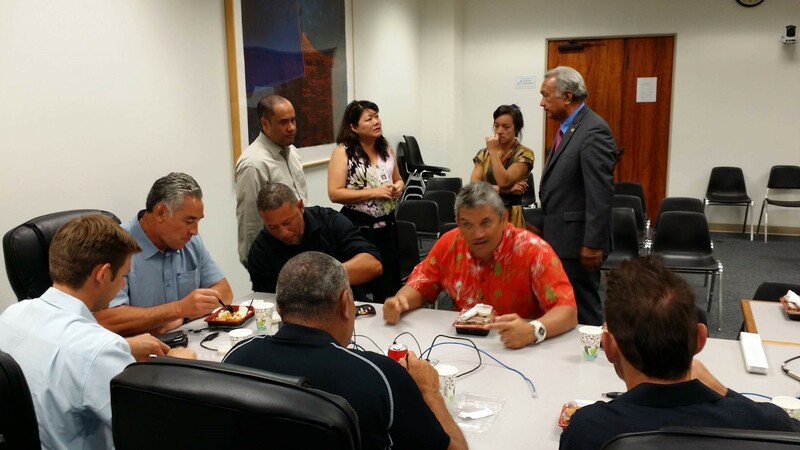 On Wednesday, February 18, the New Zealand/Rugby delegation visited the Office of Hawaiian Affairs and the Hawaii State Capitol. 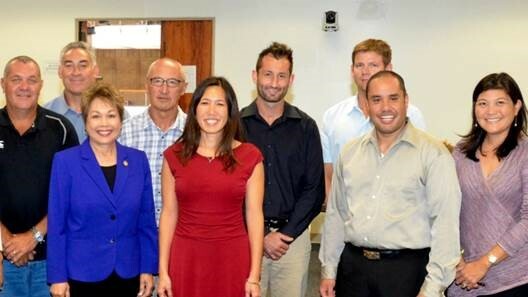 The Senator Shimabukuro and Consul General Kaiwai hosted a lunch for the group and continued discussion on incorporating rugby into afterschool programs in Hawaii and the United States.